The new 'Messenger Day' feature is rolling out globally On Android And ios .After the launch of the Messenger Camera, Facebook has revamped its Messenger app to make it more like Snapchat as well. 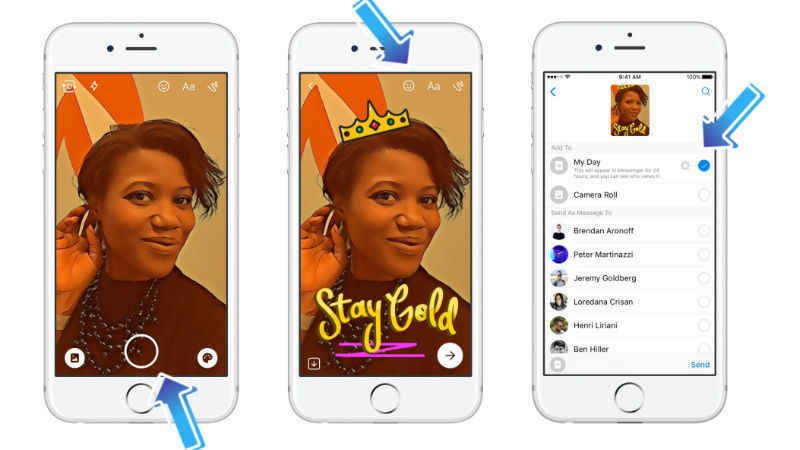 the New Features Is Called Messenger Day that essentially offers Snapchat Stories' ephemeral messaging. This feature is being rolled out globally to all Android and iOS users via an update, and you can manually check Google Play and App Store to see if the update has arrived or not. 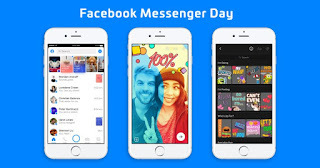 After updating the Facebook Messenger app, the camera icon at the bottom of the screen will turn into a Sun marking the arrival of the feature. Tapping the Camera icon will open the Messenger camera with new features and editing tools. 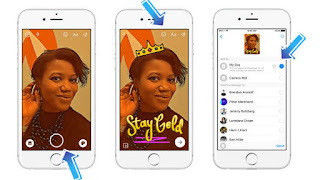 You can scribble, add emojis and text to your image, and play around with stickers before sharing it with all users.You can also choose to send the photo/ video to a specific user in Messenger or even just save it on the camera roll if you wish to Just like Snapchat, all your friends' photos and videos shared on their day can be seen by you, subject to their privacy settings.